Signal Capital Management has launched a cryptocurrency ‘Petrodollars’ backed by oil and gas reserves. Its initial coin offering is expected to take place in late 2018. Signal Capital Management, a New York based investment and holdings company, have launched a cryptocurrency backed by oil and gas reserves in what it says is the “world’s first globally compliant” oil-backed digital currency. 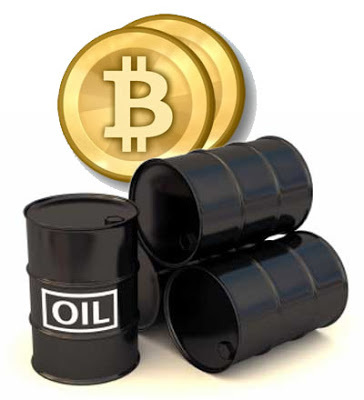 The digital currency, ‘PetroDollars’, will be backed by the underlying value of reserves of crude oil and equivalents such as natural gas and condensates, and related assets. PetroDollars-“a globally compliant digital reserve currency” as its proponents bill it-is undergoing a regulatory-compliant private placement of PetroDollars tokens to accredited U.S. aye nd foreign investors, Signal Capital Management says. A global initial coin offering (ICO) is expected to take place in late 2018 and to be up to $700 million in size, one of the largest ICOs to date, according to Signal Capital Management. According to its creators, PetroDollars is expected to be in the top 20 cryptocurrencies by total market value. It will be exchangeable for major world currencies and other cryptocurrencies. PetroDollars tokens will be nominally hard-capped at 500 million tokens.